Almost everyone knows that eggs are an ancient sign of fertility and also stand for rebirth. At no time of the year is there more rebirth in nature than in Spring, which is why the egg is generally interchanged for Spring/Easter celebrations. But even further back than this , when Christianity was being spread throughout Europe, the egg also became known as symbolic of the coming out of the tomb by Christ, including the resurrection. Coloring eggs is a tradition that predates Christianity all over the world and during all different seasons of the year. For example, in Persian culture, eggs are painted near the Spring equinox and it is believed that this is from where the Christian tradition came of Easter egg coloring. By the 18th century, toy-shaped eggs started appearing and were given to children at Easter time and it is believed the first chocolate Easter eggs of all time were debuted in Germany. 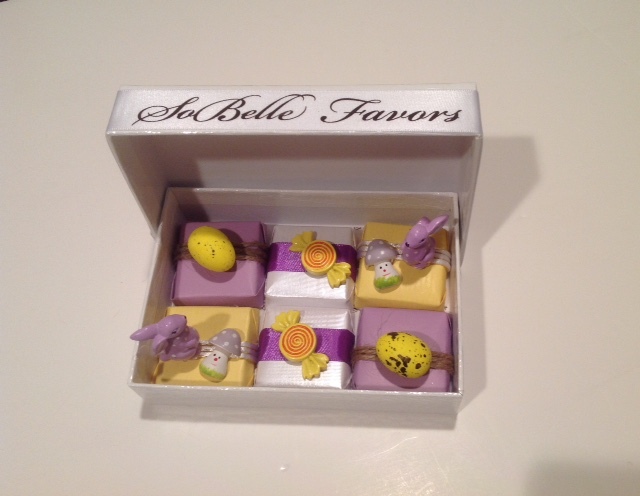 Whether you are hosting a sensational Easter brunch, dinner or simple family gathering or you are a guest at such a celebration and need a host/hostess gift, SoBelle Chocolate Favors has some lovely options to make a memorable impression on guests visually as well as amaze their palettes with the finest Belgian chocolate and chocolate-making process possible.